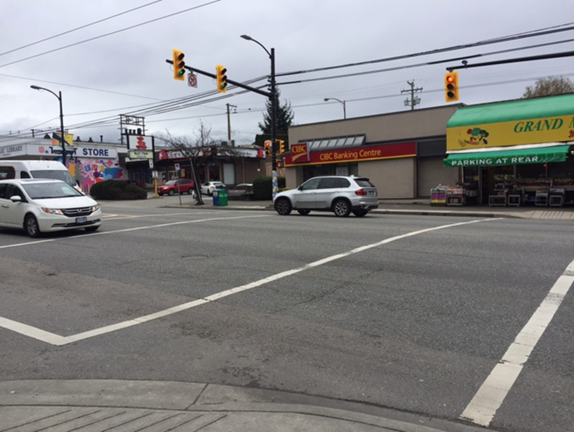 In collaboration with Musqueam, the City of Vancouver Public Art Program is commissioning an original two-dimensional artwork from a Musqueam artist, with the intent of producing an artist-designed 3-section crosswalk at the pedestrian crossings on south Granville street between 70th and 68th avenues. This art commission celebrates the vibrancy of Musqueam artistic traditions and the community today by providing further recognition of Musqueam history and territory. This highly visible location is in proximity to c̓əsnaʔəm, Musqueam’s ancient village and cemetery, as well as the Fraser River. at the Musqueam Community Centre cafe. Elk Sighting in Downtown Vancouver!